CALLING ALL HOCKEY FANS! #OHL and Flint NEED YOUR HELP! #VoteFlintStones - Very Barrie Colts | A website covering the Barrie Colts of the OHL. As noted a few weeks ago, the Plymouth Whalers have been sold and the plan was to relocate the team to Flint pending OHL approval. This week, the OHL announced that the team would be relocated to Flint and as we suggested previously, they are looking for fans to help name the team. We listed a few suggestions for names, as well as logo ideas and we still really love the idea of Flint Stones! Now, we don't want to tell you how to vote because that is wrong. 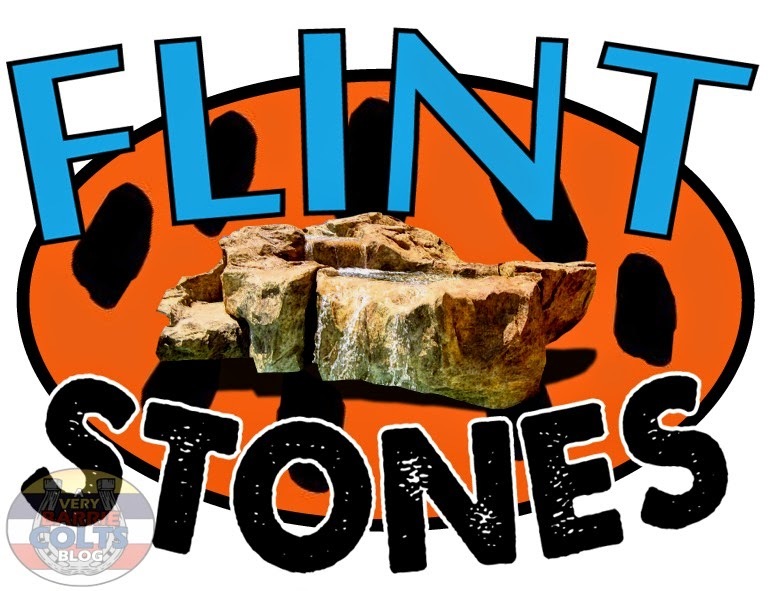 HOWEVER, if you do want to follow our lead because you too believe that 'Flint Stones' is both clever AND funny then we hope you will follow our lead and VOTE FLINT STONES! For team name we put Flint Stones and for colours we chose Black and Orange. If you like another idea (yes, you guys like the Flint Tropics because of that horrible basketball movie) then vote for the name you like best! You have the chance to help change the look of the OHL! What name do you like? Let us know in the comment section, on our Twitter @VeryBarrieColts or on our Facebook Page! #VoteFlintStones is our "Official" hash-tag for this nonsense!